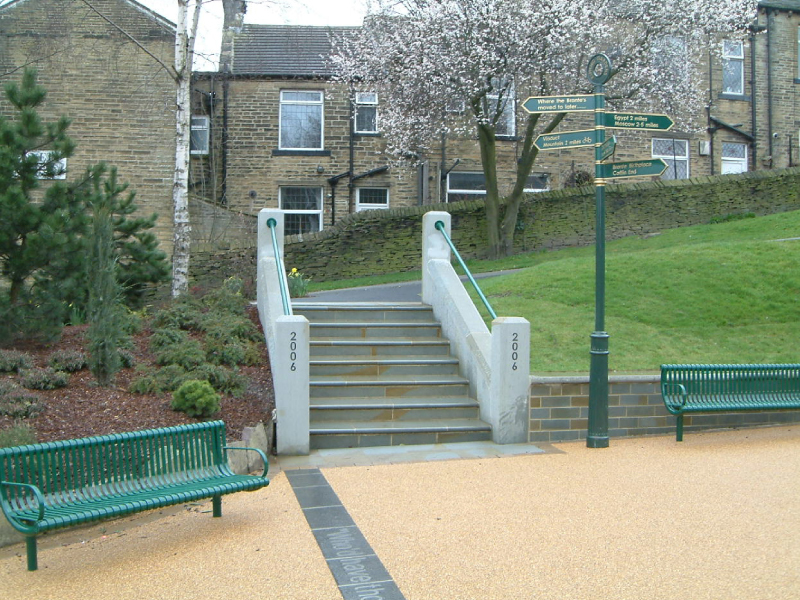 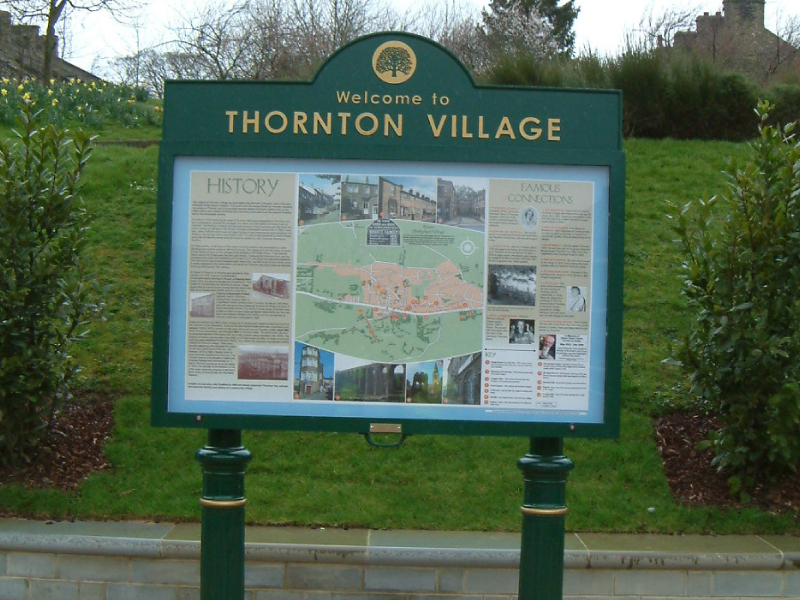 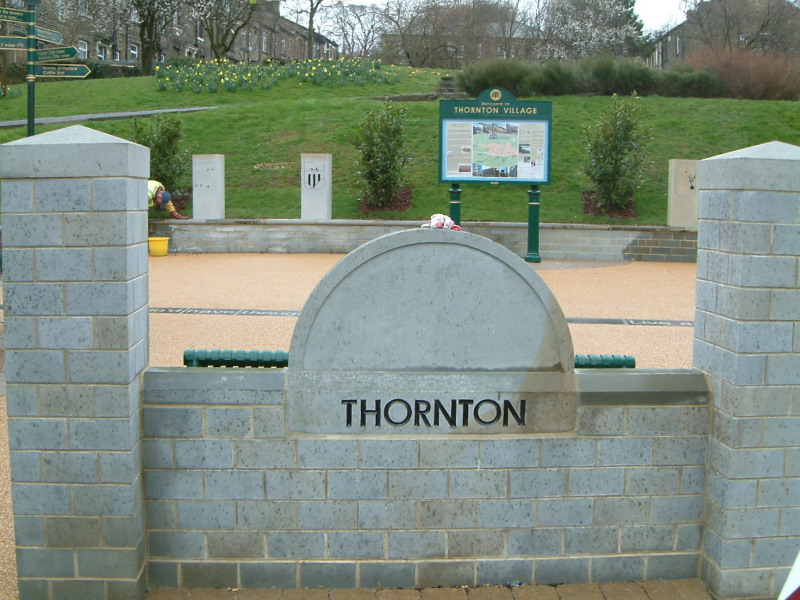 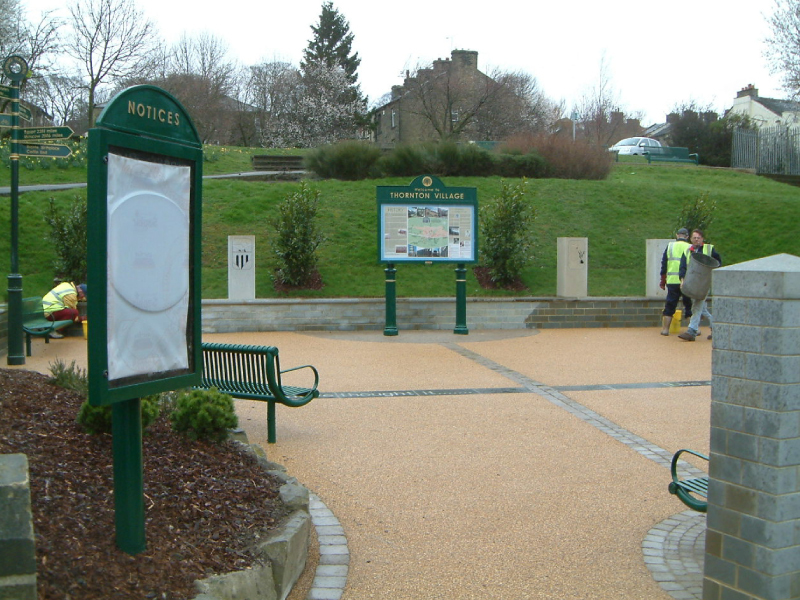 The site is located at the heart of a rural village on the outskirts of Bradford City. 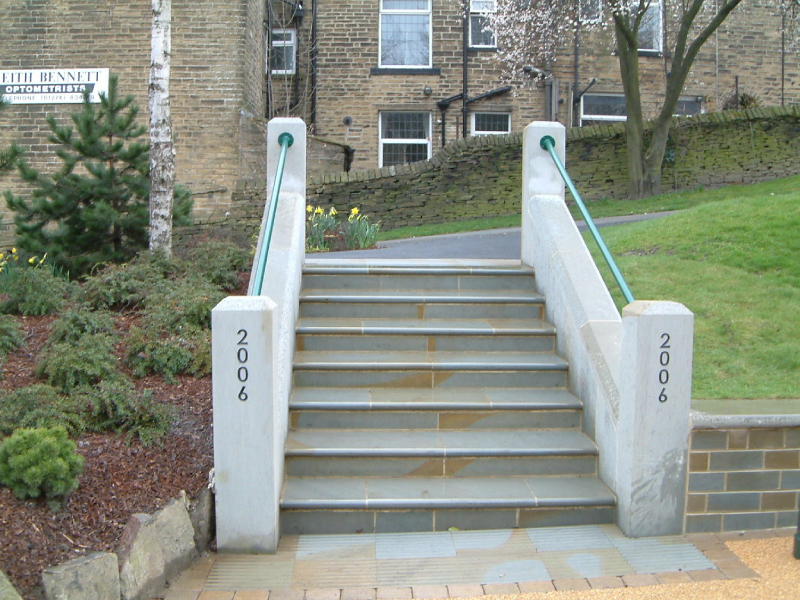 The works comprise of the removal of existing natural stone walls, steps and existing concrete foundations. 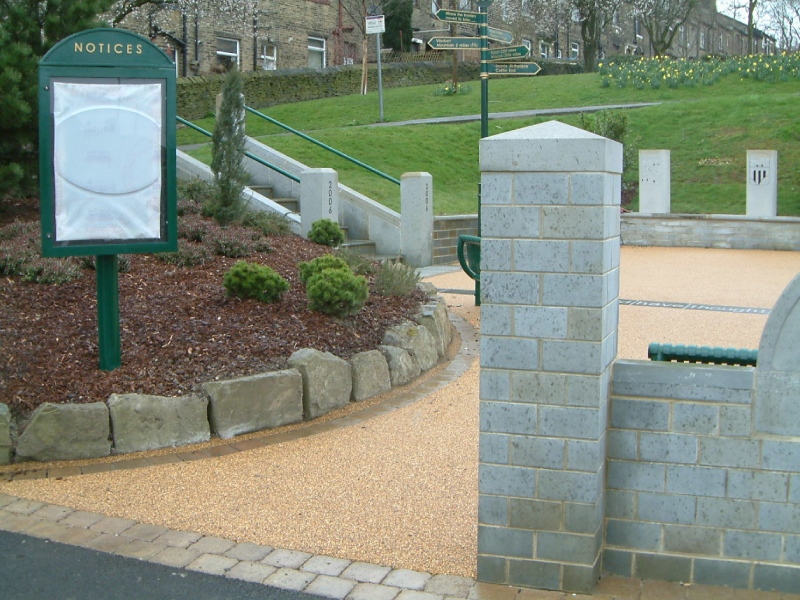 Excavations for the proposed walling, construction of natural sawn stone walling with pillars and capping stones, installation of carved stone entrance sign and feature blocks, tarmac surfacing and resin bound paving works, installation of site furniture and specimen planting. 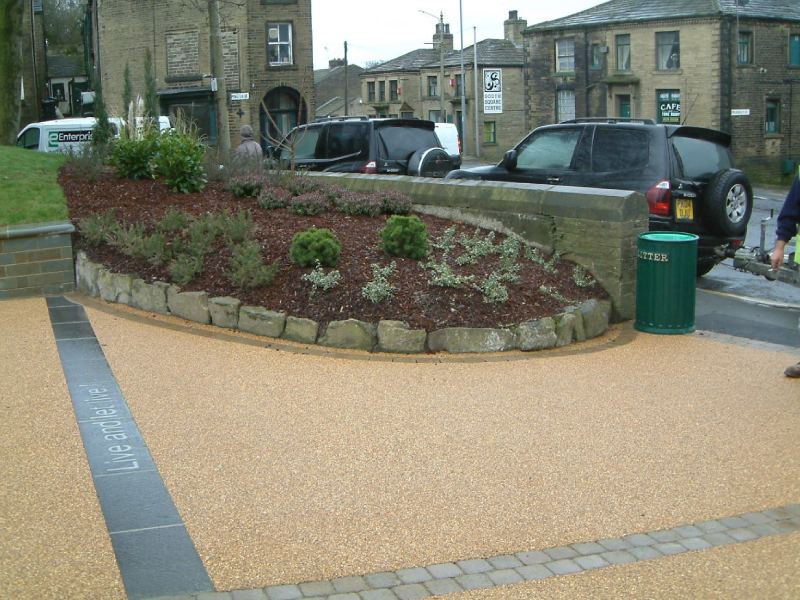 The natural stone paving was selected and finished with a sawn face to complement the surrounding buildings and natural environment. 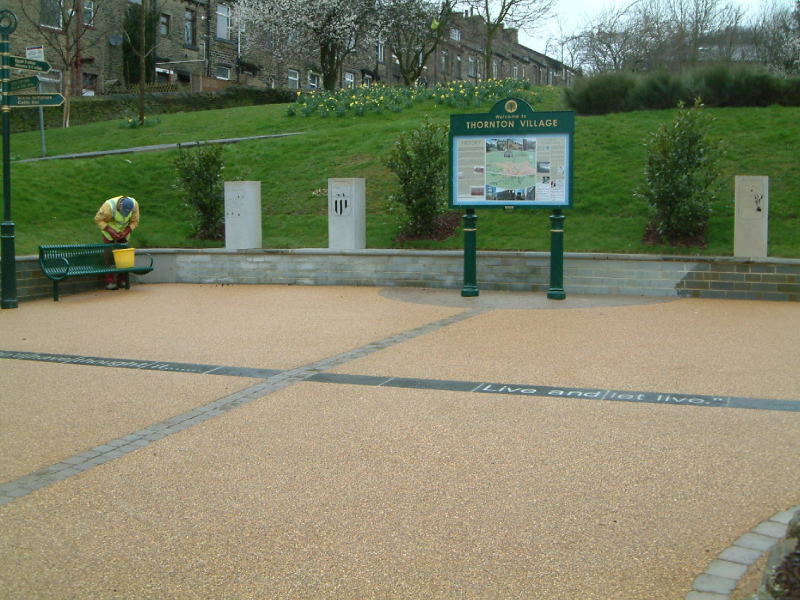 There was also a long granite surface that was inlaid with aluminium lettering which was laid within new resin bound surfacing.